The Green Girl will run like an all-star this Sunday, at the All-Star Charity 5k at Angel Stadium. For the record, I am really looking forward to getting my first ever 5k medal. Along with the Major League Baseball All-Star FanFest, the All-Star Charity 5k is celebrating the Major League Baseball All-Star Game. I learned that All-Star Game is also know as the 'Midsummer Classic' and takes place annually. The Anaheim Angels are hosting the event for the first time in 21 years. The teams consist of players from the National League and the American League. The FanFest is is an interactive baseball theme park and the largest baseball fan event in the world. The All-Star Charity 5k will be my first event representing Team Jamba Juice. I am looking forward to spreading the word about Jamba Juice's SuperActive Summer powered by Superfruit. I will wear the Jamba Juice branded apparel and hand out the $1 off Jamba Juice coupons, window clings, and tattoos, to the race participants and spectators. 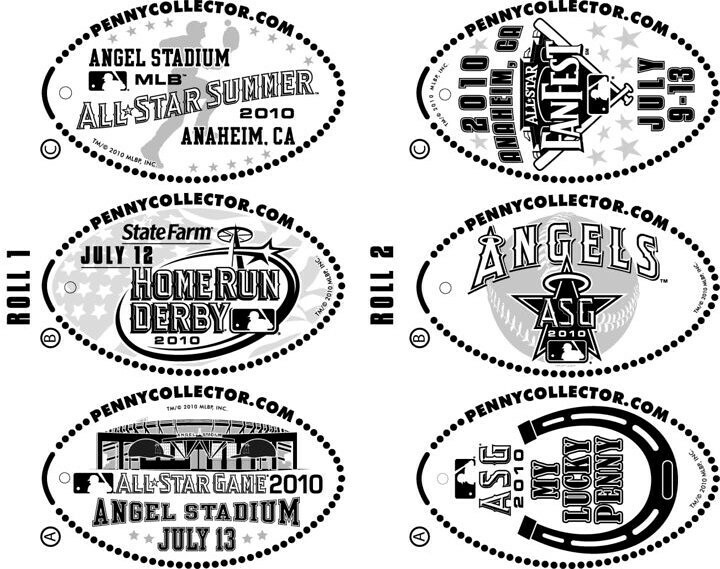 After the race, I will be volunteering at the PennyCollector.com booth helping fans roll their very own smushed pennies. If you happen to be at FanFest this weekend, please stop by. The penny booth is located near the Aramark store entrance. I'll be the girl in the Team Jamba Juice gear. Good luck and enjoy! I've run 1280 races but not a 5k yet. Better do it soon. Go Green Girl!! Enjoy the 5k and your first medal. I've never run a 5k either, but at least I only have 1280 to go to catch Johann. I hope Jamba Juice realizes what a great choice they made when the chose you as an ambassador. You are doing an awesome job! Evolving, you should probably get right on that. ::giggles:: Johann, I am very impressed you've never done a 5k! Evolving, thank you so much for your kind words. It really was a good pairing when I made the team - I honestly don't know anyone who consumes as much Jamba Juice as me. You will be on such a runner's high the race will fly by! Good luck! can't wait to hear all about it!!!!!! Good luck!! I hope you have a wonderful race - my favorite thing about running a new distance is the guaranteed PR. Yay! Thank you, Dee McCurdy and P! I heart smashed pennies! I used to get them for my kiddos when they were little and we visited all this tourist attactions and now they have a little box full of them. Anyhoo, good luck in the race tomorrow - GO GREENIE GOOOOO!!! And a medal in the 5K? That's sooo awesome! I know, I am so excited to get my first 5k medal!